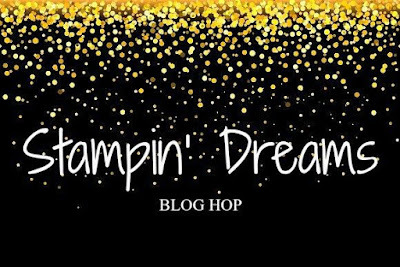 Welcome to this months Stampin' Dreams Blog Hop. 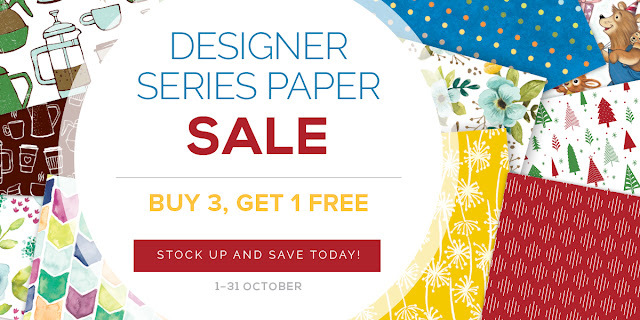 Our theme this month is Black, White & one other colour of our choice. 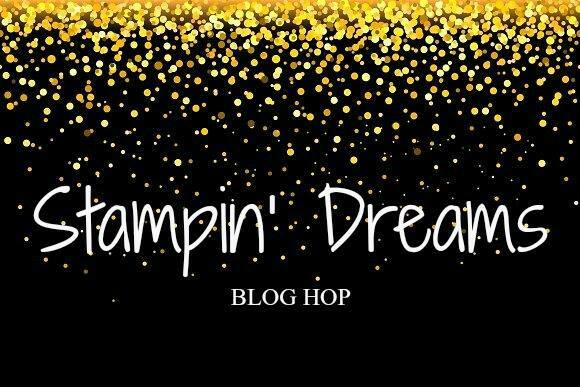 With so many gorgeous colours in the Stampin' Up! colour palette this was a little tricky, but I decided to go with one of the new 2017-2018 In Colour colours: Berry Burst. 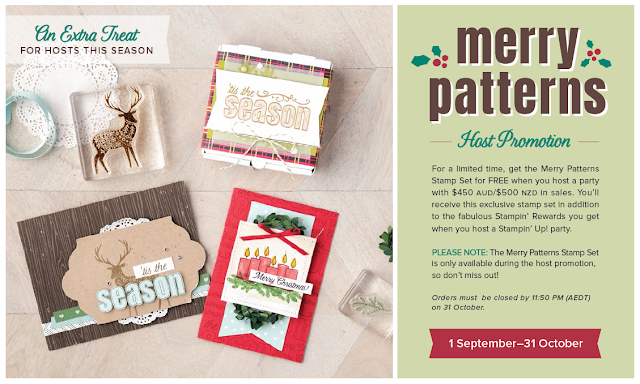 I love to create cards where no stamping is involved from time to time and my card today fits the bill. This was a pretty quick to put together, clean & simple card, that would suit a number of special occasions. 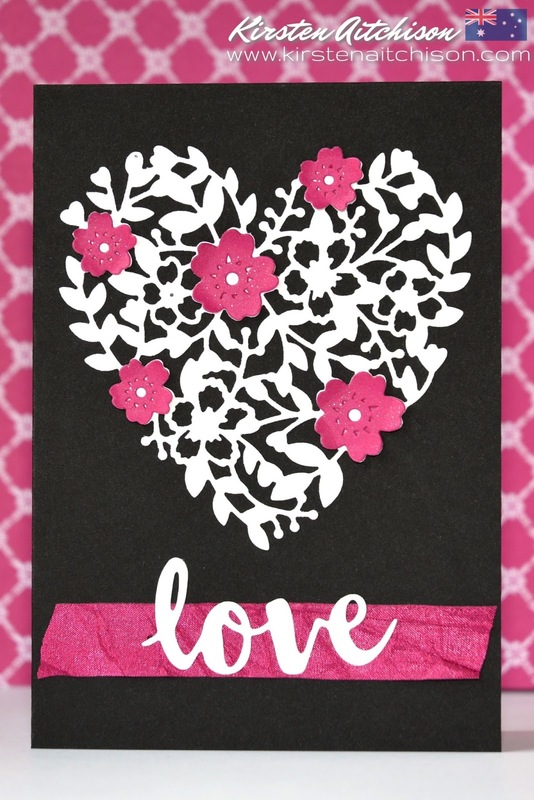 To add a little extra special touch and for some subtle sparkle, I have used Clear Wink of Stella on my Berry Burst Flowers and my die cut "love" sentiment. 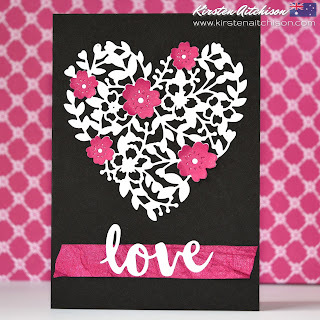 Such a gorgeouos card, Kirsten! Berry Burst. It is such a nice colour and gives such a POP! I love your card. Thanks so much Jenny :) Berry Burst is fast becoming a new favourite colour of mine. Very pretty card, Kirsten. The punch of color is incredible! Such a pretty card Kirsten. I haven't used this die-cut in forever and I love how you added the one color to it! Thanks so much Debbie :) I haven't used this die for some time myself, but it just seemed perfect for the Black & White + 1 theme. Thanks so much Vicki :) Berry Burst is fast becoming a fave colour of mine and it works so well against black & white. 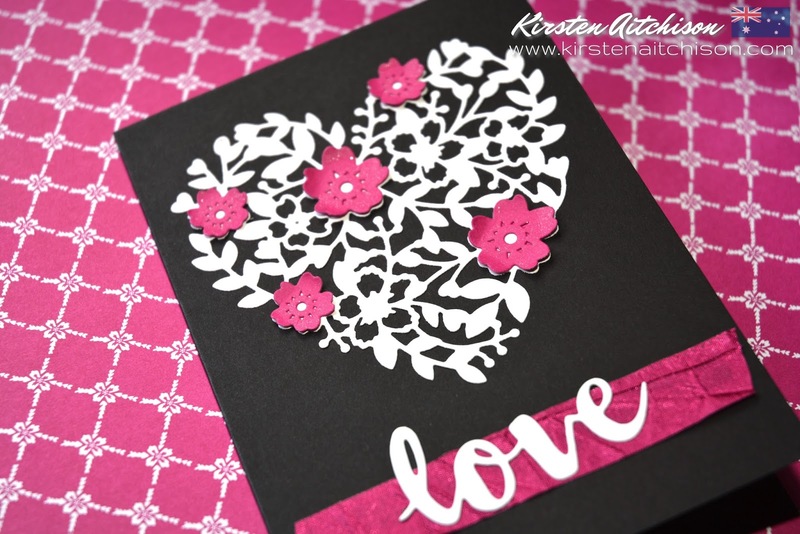 Hey, Kirsten Wow your card is a super pop of colour. I too enjoy making cards with this Die set. It doesn't matter how long the card took to make, it is how the finished product looks. This is a super lovely card.